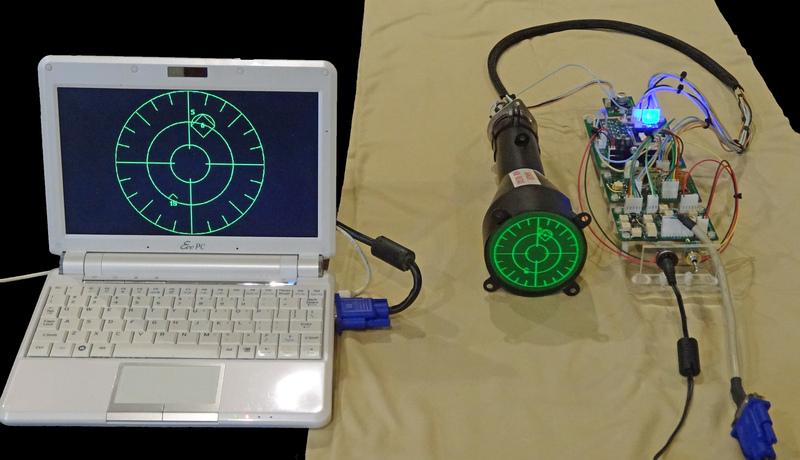 VGA display… On a 3″ scope tube! But this CRT display has a twist! It’s round. It’s small at just 3 inches diameter. And it’s awfully cute. Last year, I was approached by a dedicated flight simulation enthusiast, who needed a radar indicator to use in a fighter cockpit replica. The indicator should employ a CRT, for the most realistic look. 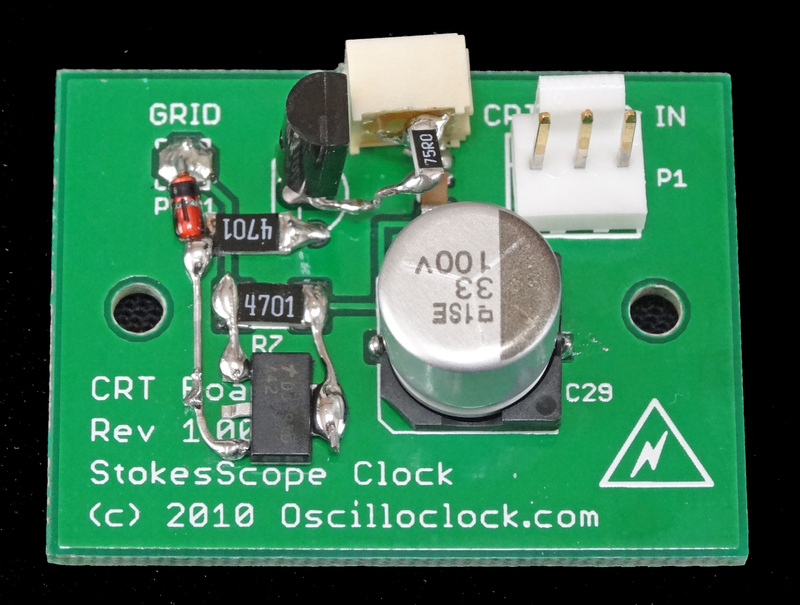 Could Oscilloclock design and construct such a display? 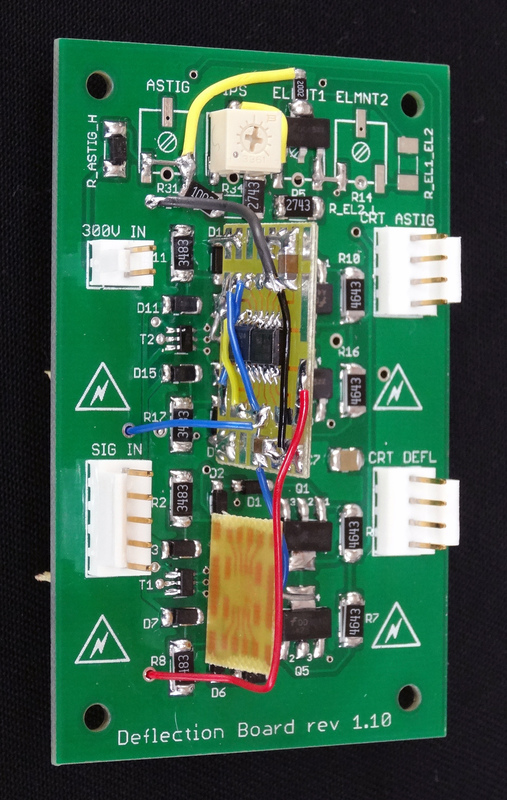 The key component of this setup is a new prototype VGA Board that converts a VGA signal into analogue X and Y outputs. Both analogue intensity and binary blanking outputs are provided. 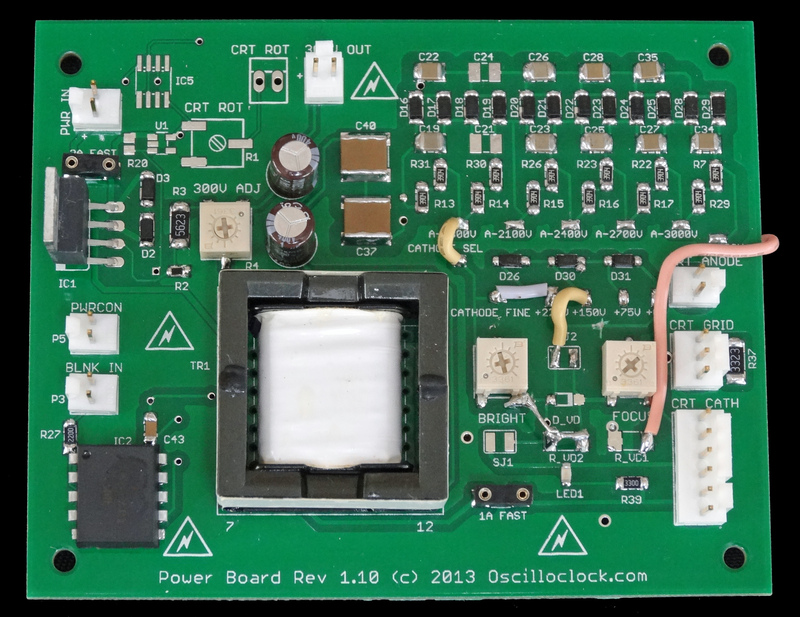 The X and Y outputs drive an Oscilloclock Deflection Board, while the binary blanking output drives the blanking amplifier in a CRT Board. 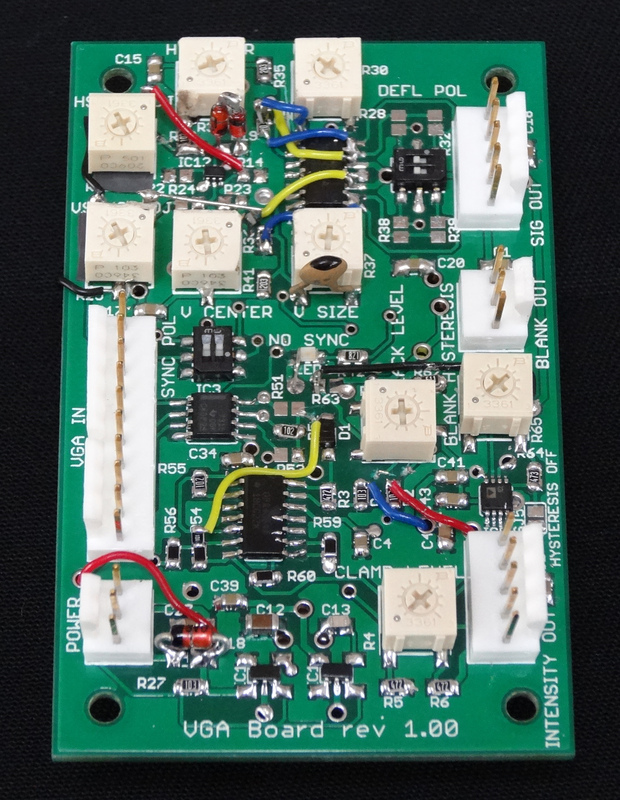 Blanking isolation, heater, and HV supplies are provided by a Power Board.